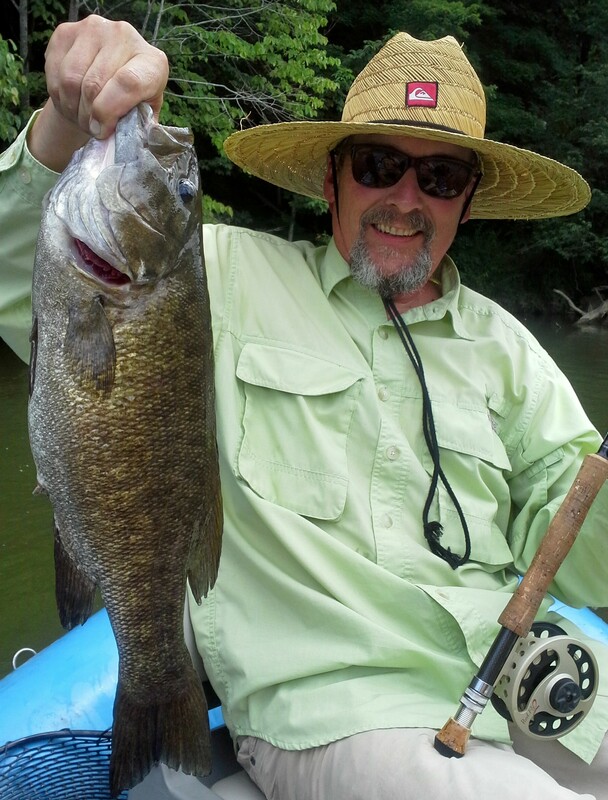 New River guided fly fishing float trips and spin fishing float trips near Galax, Hillsville, Radford, Independence, Blacksburg. I fish 8 sections on the Upper New and 5 sections on the Lower New. This is my 11th season of professional guiding. 10% DISCOUNT FOR 6 HOUR TRIPS THAT FLOAT MARCH 18 TO APRIL 12, 2019 season. 6 to 7 hour trip, $230 for one angler (or adult and one youth up to 14), $295 for 2 anglers. Full day 8+ hour trips $280 for one angler (or adult and one youth to age 14), $360 for 2. 4 to 5 hour trip- $195 for 1 angler, $240 for 2.